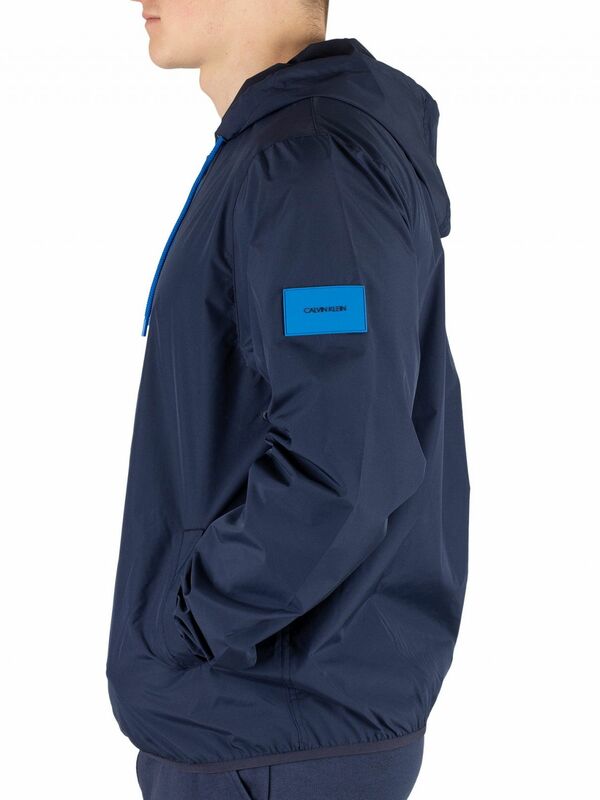 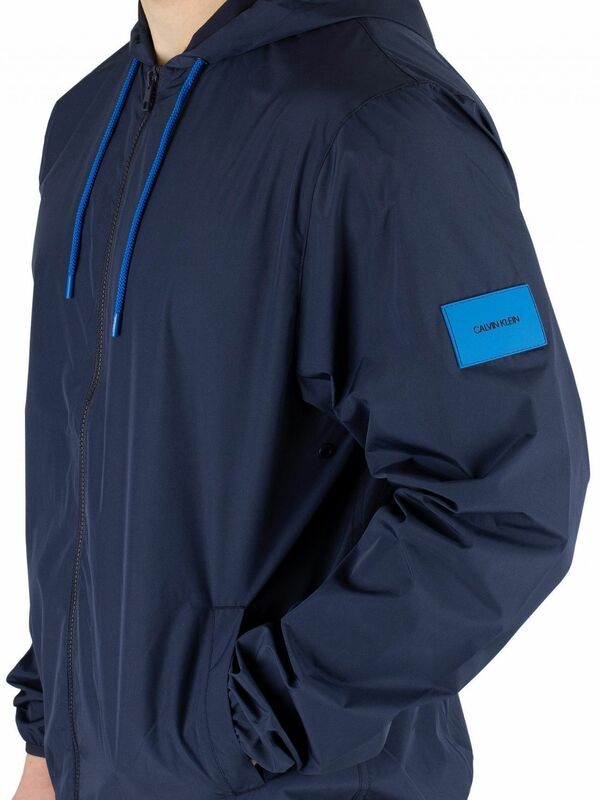 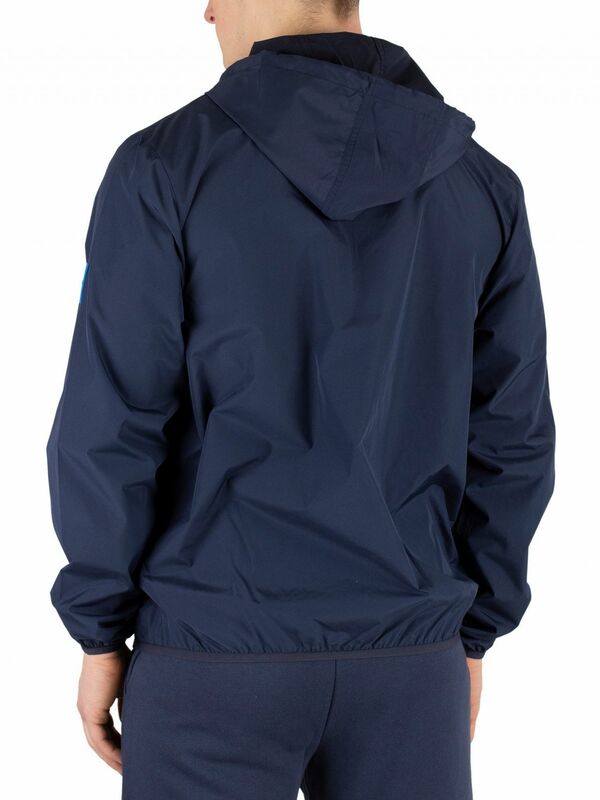 The Light Windbreaker Jacket from Calvin Klein comes in Blue Shadow colour, featuring a drawstring hood and zip closure. 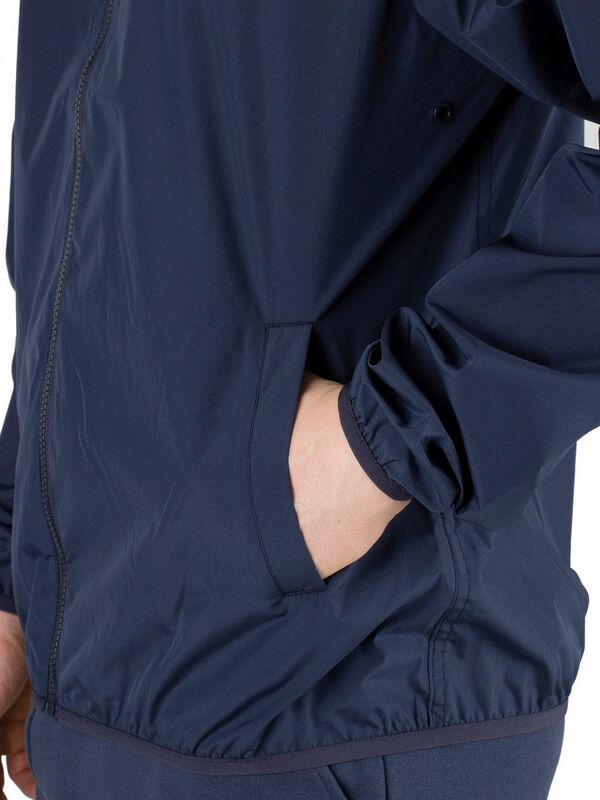 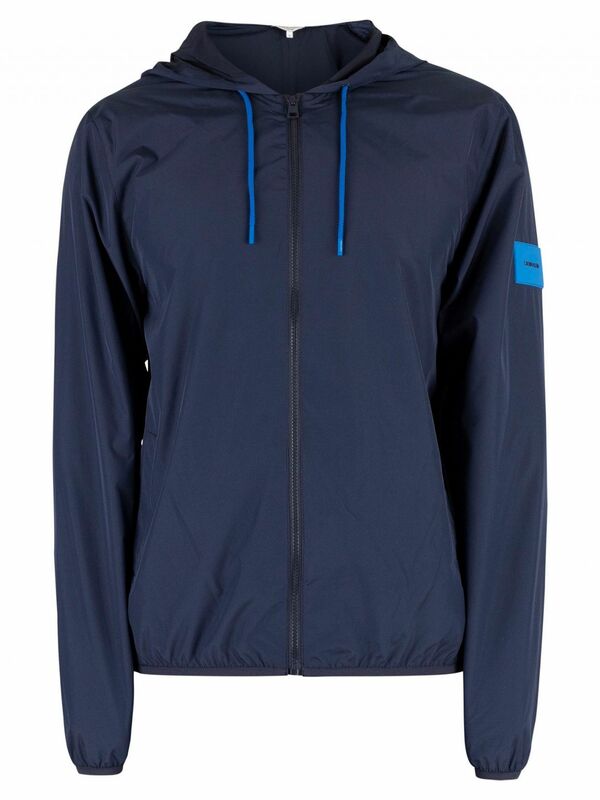 Coming with open pockets and mesh pocket lining, this jacket sports elasticated cuffs and hem. 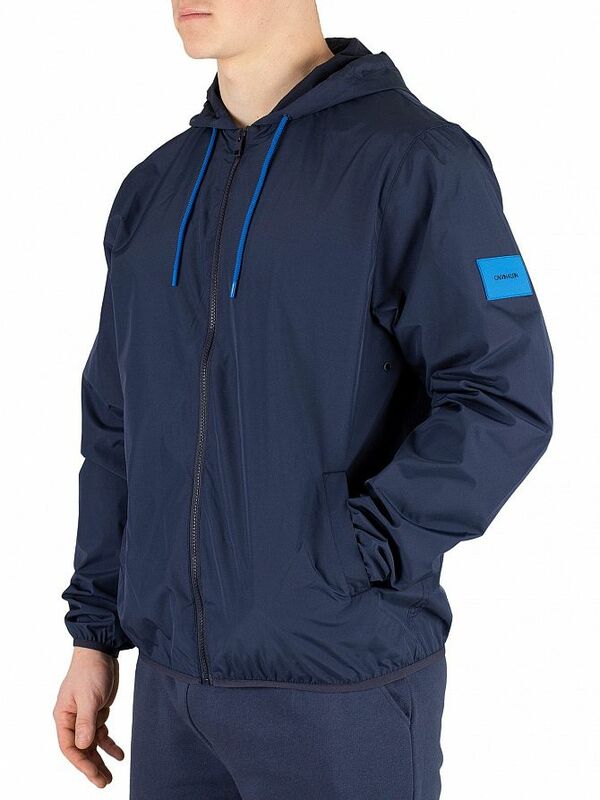 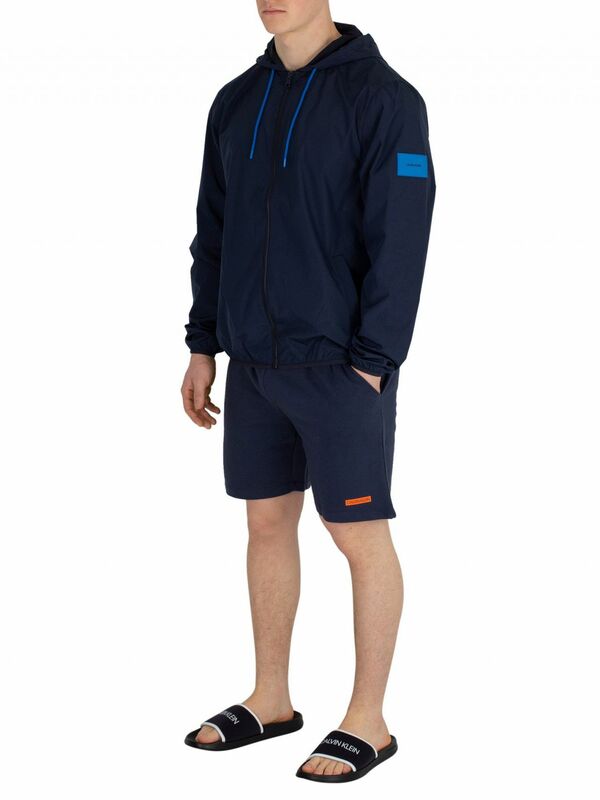 Coming from the swimwear range, this jacket features a rubber badge on left sleeve with logo.